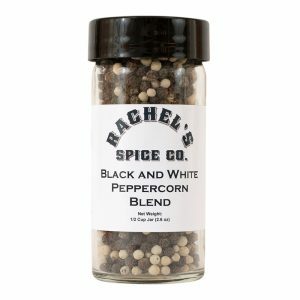 White pepper is less intense than black pepper yet still has that familiar pepper bite. However White Pepper brings to the table a unique warmth that cannot be duplicated! The history of the spice trade essentially about the quest for pepper. Peppercorns and long pepper from the coast of Malabar (India) reached Europe at least 3,000 years ago. Because of the importance of the spice trade these trade routes were fiercely protected and empires were built and destroyed because of it. Pepper has even been used as currency. In 408CE the Goth demanded pepper as a part of their tribute when they laid siege to Rome. Later pepper was traded ounce for ounce for gold and used to pay dowries, rents, and taxes. The main producers of pepper are India (still! ), Indonesia, Brazil, Malaysia, and Vietnam. 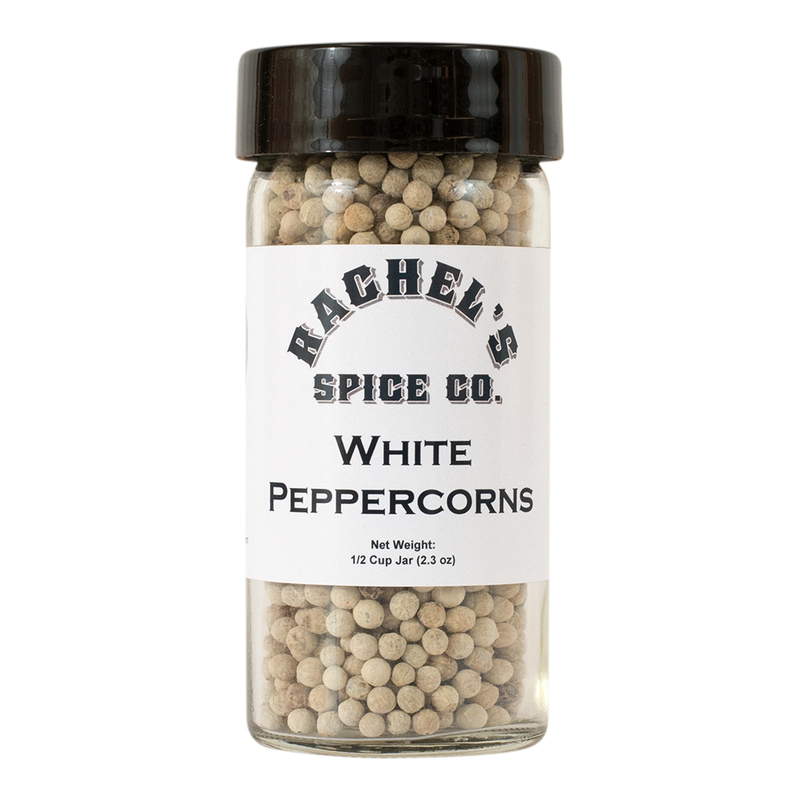 Our white peppercorns come from India. White peppercorn berries are picked when they are fully ripened and they are then husked(stripped of their outer hull) and dried.The outer shell is removed by soaking the peppercorns in water. 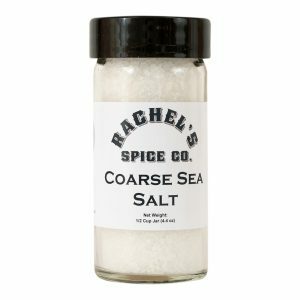 White pepper has a subtle, less biting flavor and can be used more liberally than black pepper. 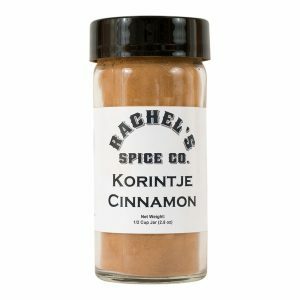 In Europe cooks often prefer to flavor creamy sauces and various light-colored dishes with ground white pepper. White pepper is also available as Whole White which is commonly used in marinades, pickles and of course in pepper mills as well as in various peppercorn blends.. Our whole white peppercorns are ideally used in a pepper mill and are great in the creamy, lighter-colored sauces for chicken, fish or potato dishes. White pepper is a staple in most of my homemade soups for the light color and the warmth that it can add to a dish without the bite of black pepper. To use our whole white peppercorns you’ll simply need a pepper mill!